The University Medical Center Groningen (UMCG, www.umcg.nl) is located in the northern part of the Netherlands and is a joint activity of the Academic Hospital and the University of Groningen. The UMCG is one of the largest hospitals in the Netherlands. More than 10,000 employees provide patient care, are involved in medical education or perform scientific research. More than 3,400 students of the University of Groningen study Medicine, Human Movement Sciences or Dentistry, and more than 340 physicians are doing their specialty training at the state of the art facilities of the UMCG. Patients attend the UMCG for basic care but also for very specialist diagnoses, examination or treatment. The INPUT project fits well into the main research aim of the UMCG: healthy ageing. The focus at UMCG is placed on a healthy and active life style over the whole lifespan. 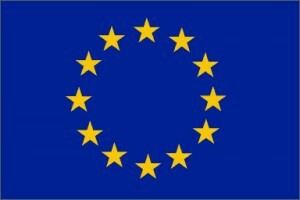 The INPUT project provides new and more efficient technology to patients with an amputation of the upper limb, which enables these patients to live more actively using both arms preventing secondary morbidity such as overuse disorders. 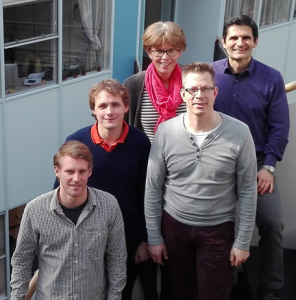 UMCG’s GRIP research group takes part in the INPUT project. GRIP is the acronym of Groningen Research in Prosthetics. UMCG-GRIP is founded by Raoul Bongers, senior lecturer and researcher of the Center of Human Movement Sciences and Corry van der Sluis, professor in rehabilitation medicine of the Department of Rehabilitation Medicine. Alessio Murgia, biomedical engineer from the Center of Human Movement Sciences collaborates with the UMCG-GRIP group because of his expertise in activity monitoring. 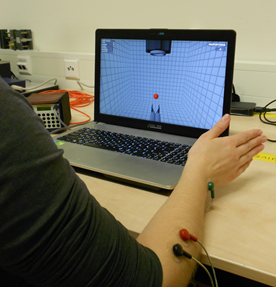 UMCG-GRIP-research topics are motor learning and training of upper limb amputees, serious gaming applied to upper limb prosthetics, outcome evaluation of upper limb prosthesis components, and overuse disorders. Part of the framework of the group can be found at: http://www.myoprosthesistraining.info. Facilities comprise of gross and fine motor laboratories to analyse kinematics, gaze tracking, EMG recordings, and (mobile) systems to analyze joint movements. Furthermore, the occupational department of the Center of Rehabilitation UMCG has all facilities to evaluate the myoelectric control and daily life functioning of upper limb amputees. 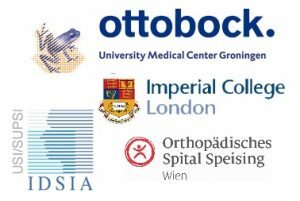 Finally, UMCG-GRIP has a strong collaboration with the national network of rehabilitation teams in the Netherlands working with upper limb amputees. Morten Bak Kristoffersen (PhD), Corry van der Sluis, Raoul Bongers, Alessio Murgia.